We’re delighted to welcome Forever Living to Jobs Expo 2015. More than 30 years later, Forever Living is a multi-billion dollar company with a presence in over 150 countries. We manufacture and sell dozens of exclusive, beneficial wellness products based on one of nature’s purest gifts – aloe vera. Our unique business opportunity compensates people like you for sharing our products with others. 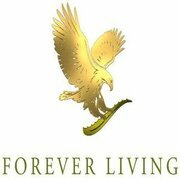 Over 9.5 million Forever Business Owners’ (FBO) worldwide have discovered the power of Forever Living’s once-in-a-lifetime opportunity. Millions of people are enjoying more fulfilling, healthier, and wealthier lives, thanks to a small business that began with only a dream. Forever Living is based in Scottsdale, Arizona, that manufactures and sells dozens of wellness and beauty products. People just like you distribute these life-enhancing products, providing you the opportunity to own your own business and secure your financial future with a proven plan. With over nine and a half million Forever Business Owners in over 145 countries, Forever Living offers the once in a lifetime opportunity of living a healthier, wealthier life. For years, CEO Rex Maughan searched for a way to obtain these two things, but wasn’t satisfied with anything he found. So in 1978, he invited 43 people to attend the first Forever Living Products meeting in Tempe, Arizona, where he unveiled a customized plan that would provide him—and anyone else—with better health and financial freedom. At Forever Living, we believe our greatest legacy is what we do for others and how we do it. We adhere to sustainable practices that let us work in harmony with the earth, leaving a more promising future to our children. We take great pride in our charity foundation, Forever Giving, because it allows us to help others around the world who have needs far greater than our own. We’re taking ideas and turning them into reality. It’s a part of our business that’s so deeply ingrained you could call it our culture. Working towards a brighter future is so much more than our duty—it’s truly our pleasure. Visit Forever Living’s website to find out more.